The wind whistles through the hills. A lone cricket chirps. A tumbleweed rolls past. That is the scene that my mind conjured when I looked at my site after neglecting to post anything for several weeks. I downloaded this Source Engine mod when it came out, but got sidetracked. I have recently been trying to play it through to the end, seeing for myself the magnificent work done to update the classic game Half-Life with a modern game engine and improved graphics. It’s great fun, and well worth a look. But, partway through it…I got sidetracked. Again. The most addictive game of the lot. A well of fun experimentation that goes so deep I still haven’t found the bottom. Some people describe it as “Sim NASA.” The game is unfinished, but has a fully functional sandbox mode, where people like me, with absolutely no engineering, rocketry, or aeronautics experience, training, or qualifications of any kind can build rockets and fire them into the sun. YES! 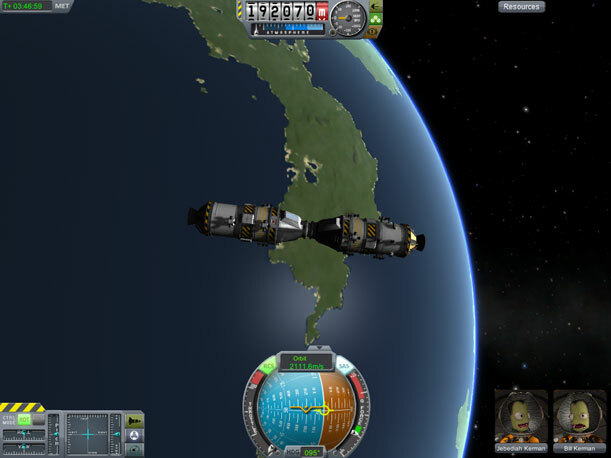 This orbital docking maneuver was probably the most difficult thing I’ve attempted yet in this game. Though the mechanics and science involved are greatly simplified, there are still a huge number of things that are possible in this game, and very few of them are easy. Want to put a capsule into orbit? You’d better know how launch vectors and orbital insertion burns work. Want to land on the Mun? Remember that it is moving too, and you have to aim where it will be, not where it is. Want to bring your brave astronauts back without incinerating them in reentry or pancaking them into the surface? 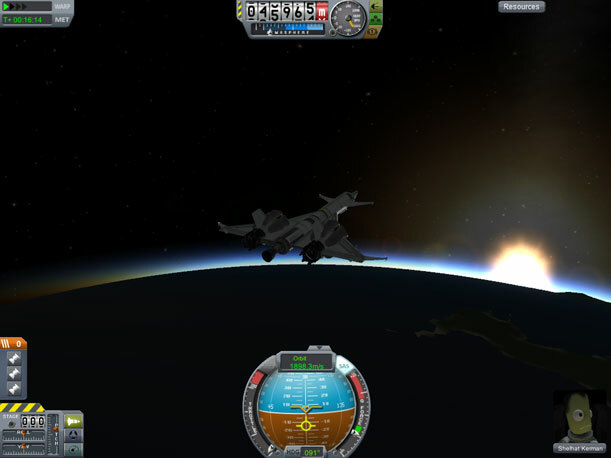 Make sure you have fuel to de-orbit at a safe angle and hope you remembered to bring parachutes. Plotting a planetary intercept course is simple. If you want it to work, though, you’d better have enough delta-v. 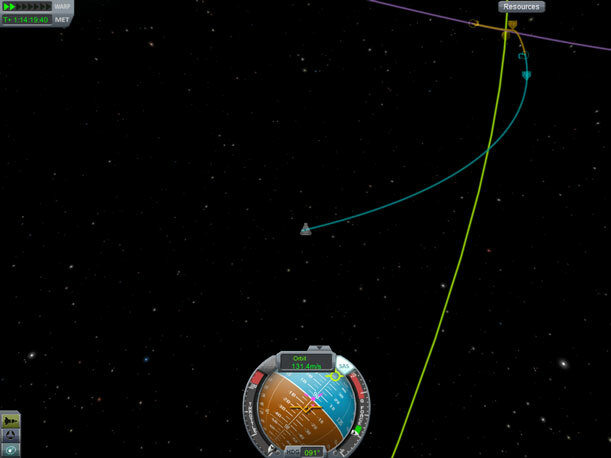 Some experiments just don’t work out, like my attempt at a single-stage-to-orbit vehicle.